If you are struggle with the pain, limited mobility and frustration of an injury, we invite you to Century Center Chiropractic for a holistic recovery approach. Our Atlanta chiropractor, Dr. Jared Simon uses natural treatments to restore your health and repair your injury. Our techniques are non-invasive and medication-free, which work with your body's natural healing efforts. As a result, chiropractic care reduces your injury recovery time, decreases your pain and helps to improve your mobility. As you progress with our holistic care, you may decide you feel better than you did prior to the injury as your body is now functioning better as a whole. We do encourage you to contact us as soon as possible following your injury whether you have been involved in an auto accident in Atlanta, have injured yourself playing sports or at work, or have a personal injury from a slip and fall. The sooner we begin chiropractic care, the sooner your body is able to fight against the injury and you are left with fewer lasting injury concerns. 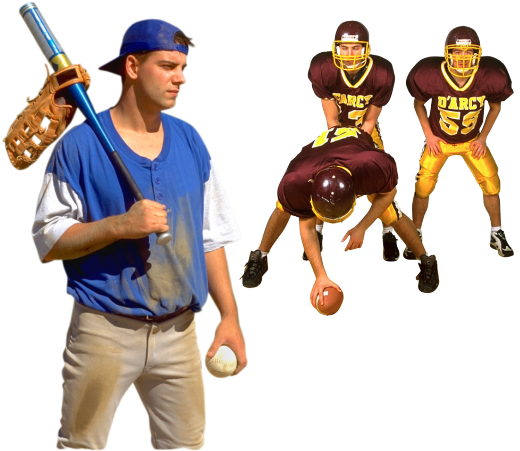 Our Atlanta chiropractor treats all types of sports injuries. We are familiar with diagnosing repetitive motion injuries, back injuries, sprains and strains. Scheduling regular chiropractic sessions with our sports injury chiropractor in Atlanta can help reduce pain and inflammation associated with sports injuries. It can also help prevent re-injury and future injuries so that you can continue participating in your favorite sports. We treat all types of musculoskeletal sports injuries. If you play basketball, baseball, tennis, racquetball, volley ball, workout in a gym or run regularly, we can treat your current sports injuries and help prevent future injuries. Back and Neck Pain - Back and neck pain can be caused by misalignments in the spine, muscle pulls and overuse. Rest, chiropractic adjustments, hot and cold therapy and hydro massage can effectively reduce back and neck pain and decrease healing times. Concussions - Concussions cause headaches, dizziness and upper back pain. They can occur anytime the head experiences a blunt force trauma. Chiropractic adjustments are effective at treating misalignments of the cervical vertebrae, reducing pain and decreasing the severity of your headaches. Plantar Fasciitis - Plantar fasciitis is an injury to the ligament that runs from the heel to the toes. It causes moderate to severe heal pain. Plantar fasciitis most commonly occurs in individuals whose feet roll excessively while walking, in individuals with flat feet or overly high arches and in individuals who run long distances. Shin Splints - Shin splints are caused by overuse of the muscles, stress fractures in the shin bone, flat feet and muscle weakness in the core muscles and hips. They are most common in runners and individuals that lift weights. Our chiropractor treats shin splints with ice and heat therapy, physiotherapy and sports taping. Strains and Sprains - Sprains are injuries to the ligaments. They occur when the joint is overextended or twisted. Common strains include ankle and wrist sprains. A strain is an injury to the ligaments and muscles. Strains most commonly occur in the back and hamstrings. Chiropractic adjustments, hydro-massage and physiotherapy are effective at treating sprains and strains. Tendonitis -Tendonitis is a repetitive motion injury. Tendonitis occurs when the joint repeatedly overused. This injury typically causes tiny tears in the ligaments, pain and inflammation. Common tendonitis injuries include runner’s knee, tennis and golfers elbow, plantar fasciitis and frozen shoulder. To learn more about how we can help you heal from your sports injuries or to schedule an appointment with our Atlanta chiropractor, call our office at 404-634-1669. Dr. Simon always begins his diagnosis by evaluating your injury. He is looking beyond your symptoms to determine the location of the injury source. This approach is different from others that try to mask the symptoms through pain relievers. Instead, chiropractic care works at healing the injury site, which results in a decrease of symptoms. Once Dr. Simon discovers the injury, he develops a chiropractic approach to immediate work at alleviating your symptoms. He begins by decreasing any inflammation and may use hot and cold therapy to achieve this. He also aligns any joints that are involved such as your hips, knees or elbows to allow for healthy nerve and circulation flow. The same is true for your spine. Dr. Simon manipulates the vertebrae to reduce nerve interruptions from causes such as herniated discs, pulled muscles or shifted vertebrae. Once the pressure is reduced from the nerves, the signals flow throughout your body to stimulate healing. Improved circulation brings healing cells to the injured area for repair and to remove toxin build up which lessens inflammation. After your body is aligned, Dr. Simon may suggest physical therapy to further reduce pain and also to restore your mobility. Untreated injuries may result in chronic pain. To avoid this possibility and also to reduce your discomfort, we encourage you to contact Century Center Chiropractic as soon as possible following an injury. Dr. Simon wants you to feel better quickly, so call us today at (404) 634-1669.